Parks are listed alphabetically. 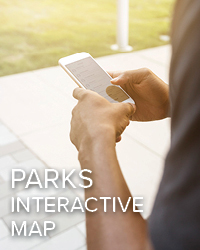 Select a park's address to view a map and get directions to the park. *Indicates an area that is not owned but maintained by the Parks and Recreation. **Indicates an area that is owned by Parks and Recreation, but a portion of property/all of the property is leased out and not for public use. All Nature Preserves do not allow dogs on-leash or off-leash.